Moroccan women have beautiful — I mean BEAUTIFUL — hair. With enough prodding, a couple of girls let on to me that they use argan oil as a regular conditioner. 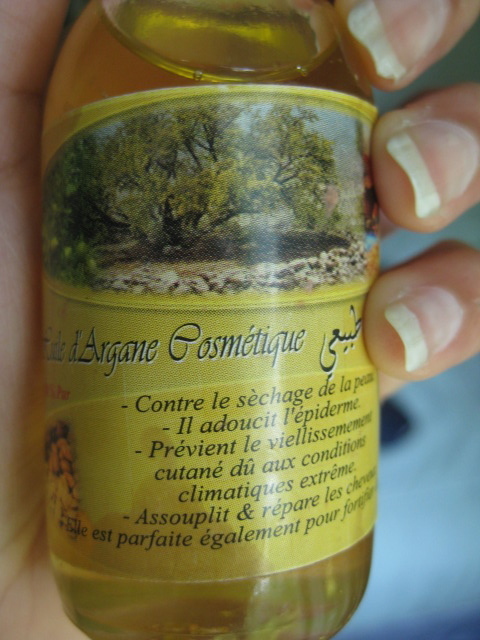 Argan oil comes from nuts of argan trees, and I kept thinking to myself to pick some up before I left but totally forgot. Lucky for me, my sister-in-law was on the same wavelength as me and surprised me with some on our last day there! I read up on it more and found that it’s said to be one of the rarest oils in the world, donned “liquid gold” in many places like this New York Times article. Indigenous to Morocco, people here have used it for skin and hair treatments for centuries. It’s packed with Vitamin E to revitalize strands; fatty acids to coat and condition the hair shaft; and Omega 9 to strengthen. It’s a savior for brittle or damaged hair, and also known to tame the frizzies and keep hair super shiny. Okay, now I sound like an ad for argan oil, but it’s good stuff! She also got me argan soap! I’ve read on the downside, that it its oleic acid properties can make it clogging for the skin, so not the best for acne-prone types; however, it’s nourishing properties have been used to treat conditions such as psoriasis. I tried to look up where you could get some yourself stateside, and the most affordable I found was here, where 100% argan oil sells for $28. 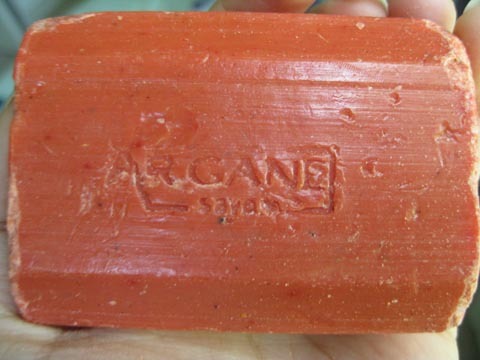 Also check out our website where we sell fine argan oil based natural skin care products and organic argan oil soap.